Keith Albert Thomas, 61, of Elizabethtown, peacefully departed from this world on Sunday, August 5, 2018, while in the comfort of his home. 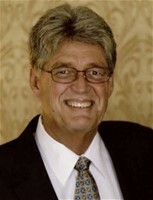 He was born in Kokomo, IN, a member of First Presbyterian Church and was a vice president and co-owner of Wilson Manufacturing and Design for 29 years, a company he had been a part of for 42 years. Keith was a humble and generous man. He was a man of honor and faith. He had a loving soul and a heart of gold. During the spring and summer you could find Keith on the golf course; during the fall and winter he was cheering for Kentucky Wildcats basketball. Cooking was one of his favorite hobbies and many wonderful meals were shared in the Thomas family home. He was preceded in death by his father, Charles Randall Thomas. He is survived by his wife, Terri McQuown Thomas of Elizabethtown; a son, William (Jennifer) Thomas; a daughter, Emily (Austin) Howell; his mother, Lu Thomas all of Elizabethtown; 3 brothers, David (Connie) Thomas of Elizabethtown, Mark (Jan) Thomas of Greenfield, IN and Tony (Vicki) Thomas of Elizabethtown; 2 sisters, Esther (Al) Holley of Shalimar, FL and Teresa (Doug) Gibson of Elizabethtown; his in-laws, Richard and Betty McQuown; and several nieces and nephews. A Celebration of Life will be Wednesday at 12 p.m. at Brown Funeral Home with Bro. Chris Kiger and Bro. Doug Mitchell officiating. Visitation is from 4-8 p.m. Tuesday and will continue at 11 a.m. Wednesday at the funeral home. In lieu of flowers, the family wishes for donations to be made to the Serenity Club, Hosparus, and the American Cancer Society. Condolences may be expressed online at www.brownfuneral.com.